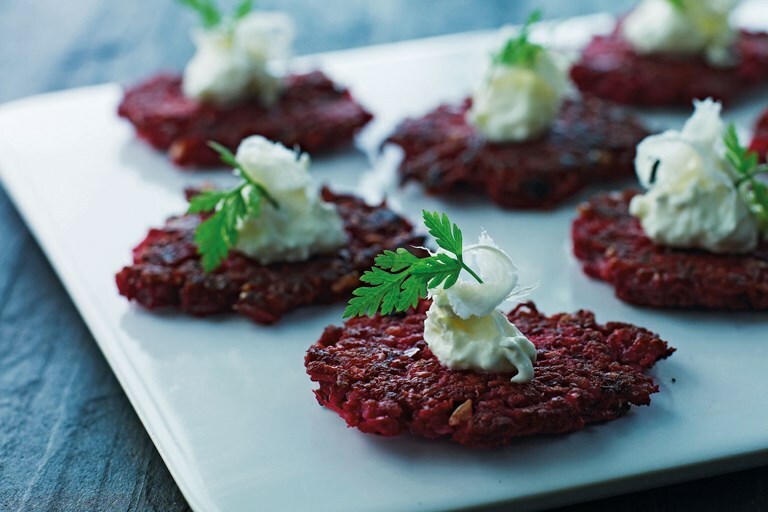 These mini root vegetable canapés are topped with horseradish cream for a simple, festive snack. The batter can be made in advance, meaning you just have to bake them off, top with the cream and serve up for your festive party. This recipe is taken from Scandinavian Christmas by Trine Hahnemann, published by Quadrille. Images by Lars Ranek. Perfect little mouth-watering bites. I've served these for years at winter parties and always get lots of compliments for them. They can be made the day before and reheated. Trine Hahnemann is a well-known chef and food writer, specialising in Danish food and food culture.